It s a nice country pub b&b setting. Nice 4 poster bed and the room/pub area was clean. It was nice to have our own bathroom and that we could see our car from the bedroom window. Lovely views of the welsh hills and not too far from LLangollen centre. Don’t book a room here!! The staff are rude and the bathrooms are awful!! My room was comfortable, clean with natural light and I found the cleaning staff to be extra attentive. The outdoor seating was very lovely when the sun was shining. Breakfast was excellent with many options with exceptional service. Despite booking .com’s ridiculous policy and fees for changing reservations, I was pleased to see I was not charged for the extra night that I was unable to remove from the reservation. Was comfortable, and room was very spacious, beautiful surroundings, has the potential to be phenomenal, given where it is. The friendliness of Steve and the staff I appreciated his hard work on Christmas Day Thank you! The room was warm comfortable and spotlessly clean. Breakfast was great and spot on. All in all highly recommended. Lovely area. Marvelous Moose. Fantastic value. Only stayed a night but will be back. The breakfast was freshly cooked to order. Good variety of cereals etc. We were looking for out of the way gems and found Abbey Grange to be just that! Our GPS didn't take us there, though. We had to stop for directions. Neat and clean and priced in our budget! Abbey Grange Hotel This rating is a reflection of how the property compares to the industry standard when it comes to price, facilities and services available. It's based on a self-evaluation by the property. Use this rating to help choose your stay! 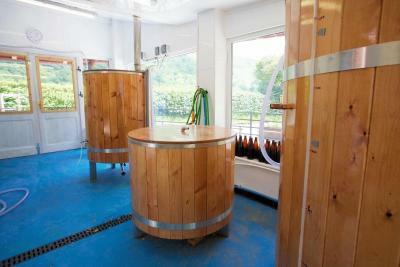 One of our best sellers in Llangollen! Set on 8 acres of idyllic countryside, this charming country hotel offers free Wi-Fi and a large garden area. 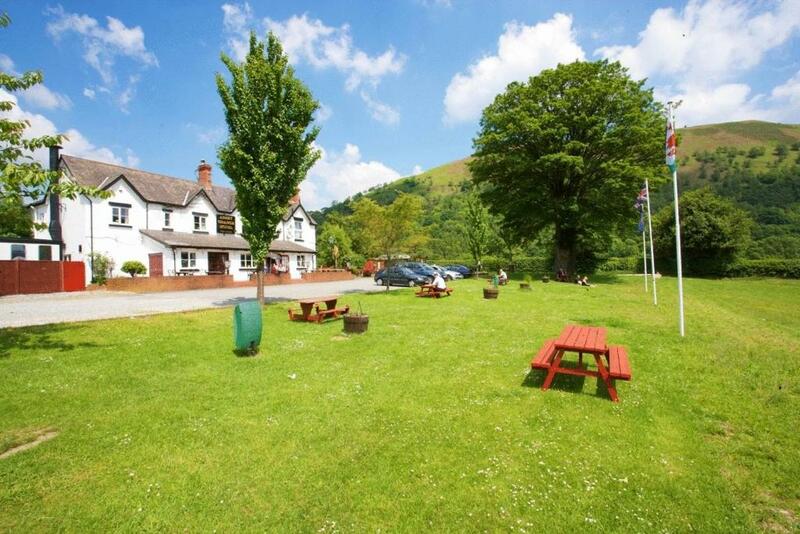 The market town of Llangollen is just 1.5 miles away. Some of the rooms at Abbey Grange have luxurious four-poster beds. The hotel has a sun patio and children’s play area with a bouncy castle. 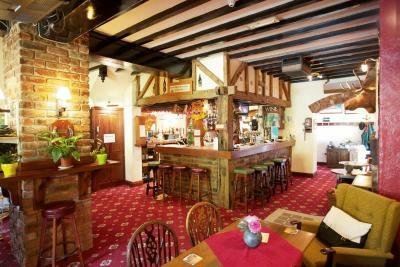 Guests can dine in the Eliseg Restaurant or enjoy a drink in the cozy Abbey Bar. 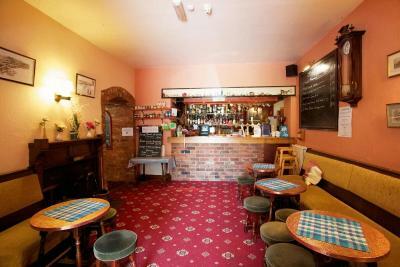 The Oak Bar offers real ales. 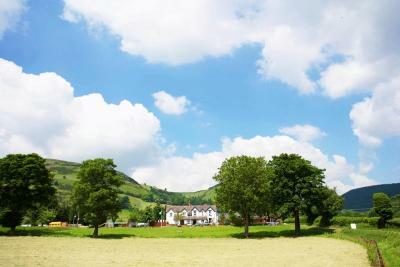 Near the Horseshoe Pass, Abbey Grange enjoys magnificent mountain views. Llangollen has unique shops, a steam train and horse-drawn canal boats. When would you like to stay at Abbey Grange Hotel? 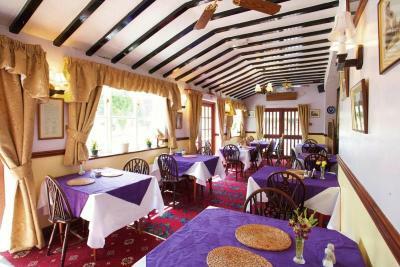 Each room has satellite TV, tea and coffee making facilities, and a bathroom with free toiletries. For arrival on Christmas Eve, this offer includes meals on Christmas Day with a 5-course lunch and an evening buffet. Breakfast will be provided on Boxing Day and a carvery is available at an extra charge. This offer includes live entertainment, a buffet, a glass of Champagne, and tickets to a firework display. This package includes a box of chocolates, a bottle of wine, and a rose in the room. Also included is a candlelit dinner in the evenings. House Rules Abbey Grange Hotel takes special requests – add in the next step! Abbey Grange Hotel accepts these cards and reserves the right to temporarily hold an amount prior to arrival. Please note that family rooms can be booked for all adult occupancy. Extra charges will apply. 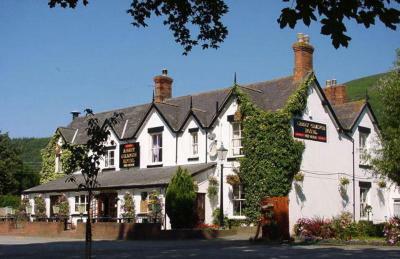 Big comfortable beds, peaceful location, great parking, relaxing atmosphere..
Only 1 radiator worked. Plug in sink let out water. Great parking and outlook from Windows. Breakfast was freshly cooked and good choice of cereals. Lovely yoghurts and bread. Toiletries and towels were good quality. 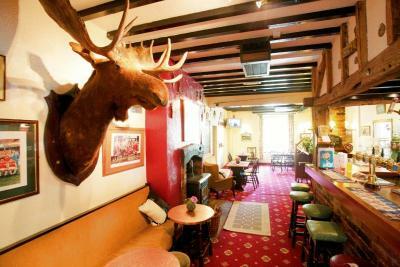 The food was excellent plenty of choices and good value.Bed was lovely and comfortable, lovely pleasant staff,very helpful. Like a faulty Towers episode and the discount price I got was just the normal price as advertised in the road side Supposed to include breakfast it waited in reception from 7:30 to 8 and the whole spot was locked up. I had requested that no neutralising /deodorising spray be used as wife is allergic, unfortunately when we entered the room that was allocated, our request had been ignored so we then requested to be moved. The weather was very cold at the time but 2 of the radiators did not work, . They could not be fixed so we were given a small electric radiator. The breakfast on the first morning left a lot to be desired. No breakfast choice was laid out, it seemed as though the person that usually set up was not at work so nothing was put out. We were given a choice of Weetabix or Cornflakes as a cereal, The cooked breakfast was ok. The second morning things improved and breakfast had been set up as it should have been. We had left the room key at the desk when we went out, but discovered we had left some medication behind. When we went back we could not get into the hotel. It was pure luck that the only member of staff that was there happened to see us. There was no bell to attract attention. This could have been a nightmare for us if she had not seen us. The shower and bath taps would not work so we couldn’t wash easily. The evening meal and breakfast were very good. The bedroom was spacious and comfortable with a good view. Desperate need of referb. Bed was lumpy and uncomfortable. The bathroom was dated, couldnt have a shower because the was boiling or freezeing. 4 poster was nice but again dated. 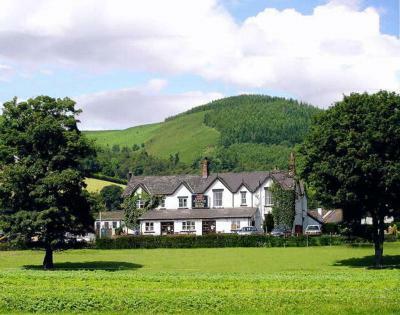 All round disappointing, clear to see why it’s the last hotel to be booked in Llangollen.